Getty/Monica SchipperHenry Blodget speaking at IGNITION 2017. Our ninth annual IGNITION: Media, Technology & Transformation conference is just six weeks away, happening at Spring Studios in New York City, December 3-4. We’d love to see you there! As always, IGNITION challenges you to think differently. This year’s program features a hugely impressive group of innovators, industry personalities, business leaders, and emerging entrepreneurs. We’ll tackle topics like the future of media and entertainment, healthcare, finance, transportation, and work. ScottGalloway, our highest-rated speaker at IGNITION 2017 – who gave a blistering analysis of Amazon,Apple, Google, and Facebook– is back by popular demand. Get ready for MarkCuban to share how companies can foster social change in today’s often deadlocked political climate … and how he’s putting his money where his mouth is. WendyClark, DDB’s first female global CEO, will give her take on where the challenging advertising industry is headed. RandyFreer, the CEO of Hulu, and Chris Albrecht, the CEO of Starz, will provide an overview on the massive disruption happening in television. Curtis “50 Cent” Jackson, the executive producer of Starz’s highest-rated show, “Power,” will be joining Albrecht on stage. Danica Patrick, the legendary racing driver who this year became the first female ESPY Awards host, will talk about her new entrepreneurial ventures. Troy Carter, one of the biggest names in artist management and a savvy consultant to technology startups, will share his views on what’s next in music, entertainment, and more. Advertising pioneer Sir Martin Sorrell will give one of his first interviews since departing WPP, the world’s biggest advertising holding company, which he founded. The Russo brothers, Anthony and Joseph, the codirectors of the top-grossing film this year, “Avengers: Infinity War,” will talk about how to break through in our over-saturated media age. 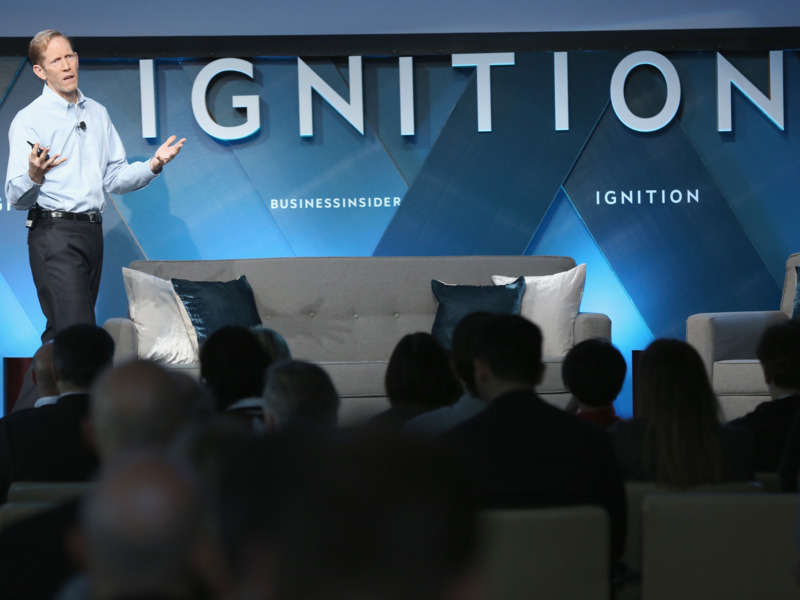 Each year, IGNITION brings together a unique community of changemakers and executives from around the world for an enlightening, fun, and inspiring two days. It’s a fantastic opportunity to network with key players in media, tech, and advertising. Register here if you’d like to join me. PS – Check out the full IGNITION lineup so far. Darren Laybourn, corporate vice president of Microsoft News, Microsoft Corp.